Bonwin hotel control system, which is the overall solution designed for different types of hotels, can integrate with 3rd party systems to provide a better service for each guest in the hotel. With occupancy-based energy management and intuitive guest-facing technology, operators can reduce hotel energy consumption, improve operational efficiency, and give guests the comfort, control and convenience they expect. By APP or other ways, guests can not only book rooms, select rooms and so on, but also open door locks, lights and other things. The working state of Bonwin hotel control system is divided into 4 kinds: normal, emergency, test, fobbiden state. Bonwin hotel control system provides five running modes: wait rent, welcome, rented that has person inside, rented that has no one and sleep mode. With Bonwin hotel control system, hotel managers and guests can control and manage room equipment. Hotel control system provides power management and RS485 network management on these equipment. Hotel control system can provide four lighting scene mode (including sleep mode). Each unit of hotel control system supports 4 alarm linkage and some SOS access. Each unit of hotel control system supports 8 service requests (including the doorbell and visual peephole). BWRC2.01 management software is the core of the hotel control system, controlling and managing the whole customer control system. The software adopts most stable Client / Server (C / S) architecture, Microsoft SQL Server database management system and Turbo Pascal high-level language, and it is suitable for WINDOWS 2000, XP, VISTA, WIN7 and other operating system platform. 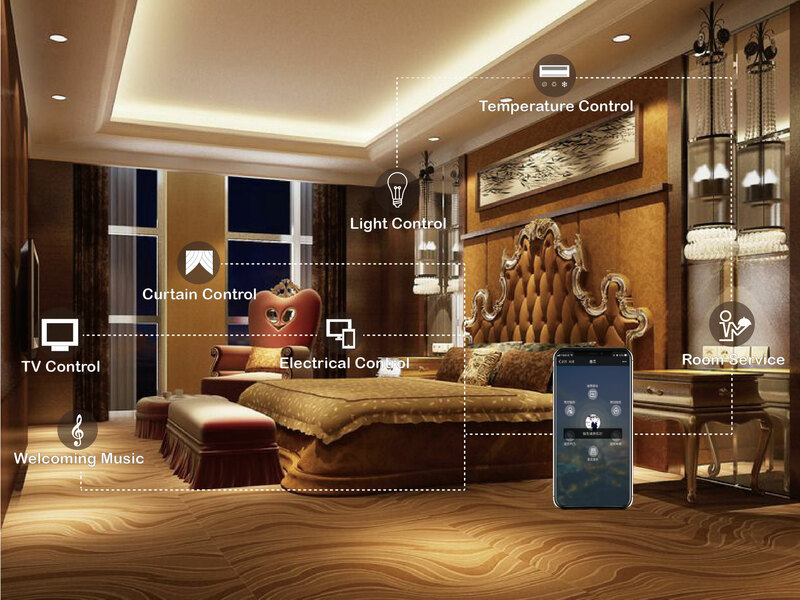 The software can connect with the hotel's internal area network, and it can also collect the information of real-time room state through the communication system (write to database to analyze and query), and transmit various control information to RCU. With the intuitive graphical interface and simple operation, managers can do operations of relevant related permissions by landing with name and password.